The Solar Dash Charging System is a portable 20-watt solar panel that keeps batteries charged and counteracts the effects of parasitic loads on a battery. When a vehicle isn’t running, some essential electrical components may still be draining the battery as a parasitic load. Trucks left sitting for a month or more can have a discharged battery when a driver tries to start it up again. This can result in battery replacement and extra work for drivers and technicians. The Solar Dash is small enough to fit on a vehicle dashboard and plugs into any 12-volt power port. When left in the sun, the panel will recharge batteries daily and keep the vehicle in working condition. 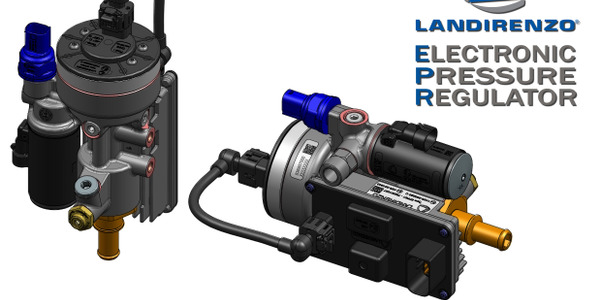 Also, because the Solar Dash is portable and easily connected and disconnected, it can be used on any vehicle that needs it’s batteries to be maintained during non-operation. 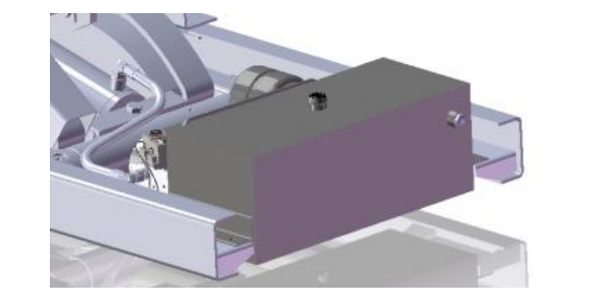 The Hy-Flo Twin Electric Power System from Truck Bodies and Equipment International is a power system designed for select medium-duty Crysteel, DuraClass and Rugby Manufacturing brand hoists. 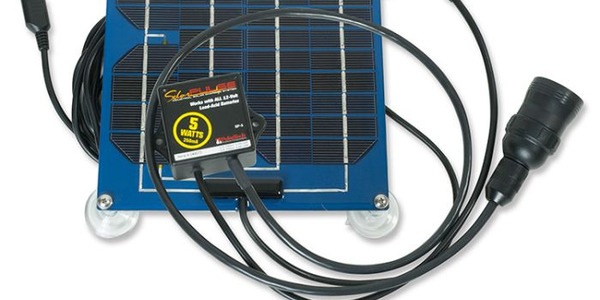 The PulseTech SP-5 OTR Solar Charger maintainer is a solar-powered battery charger designed to keep a vehicle battery charged during periods of non-use. The Webasto Polar Cab TS engine-off cabin cooling system provides on-demand cooling during down time that will result in fuel savings, reduced idle time, increased productivity, and operator safety and comfort. 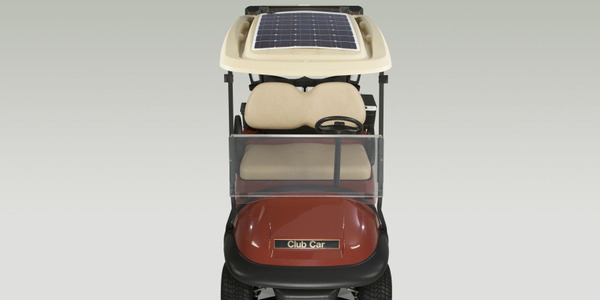 Club Car’s 100-watt Solar Drive Charging Panel Assembly is designed for 48-volt electric Club Car Precedent golf cars, Carryall utility vehicles, and Villager low speed vehicles. The Solar Flex solar panels from Go Power! are thin, flexible, and efficient and designed to provide AC power for applications such as computers, power tools, lighting, lift gates, and a variety of truck-mounted equipment. 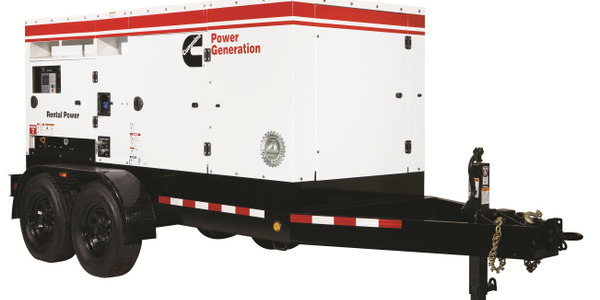 US EPA Tier 4 Final certified mobile generator sets with 150 kW to 275 kW power outputs are now available from Cummins Power Generation for the rental market. 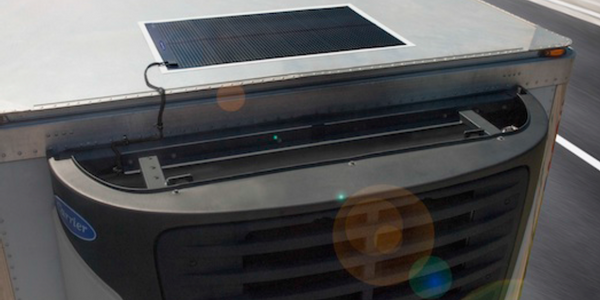 Carrier Transicold’s new Thin-Film Flexible Solar Panels can be installed on the roof of a trailer or truck to continuously charge transport refrigeration unit batteries. Thermo King is producing a new unit-mounted solar panel designed to support telematics on applications ranging from freight haulers to service trucks. The Go Power! 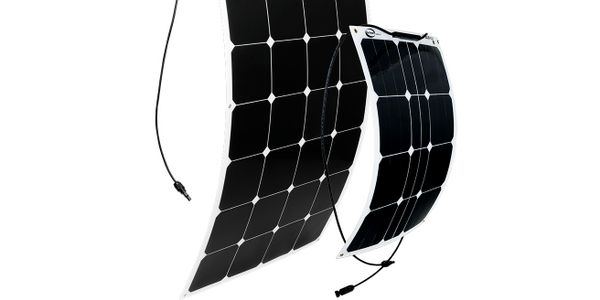 Solar Flex panels are aerodynamic solar battery chargers for work trucks, long-haul trailers, and sleeper cabs.